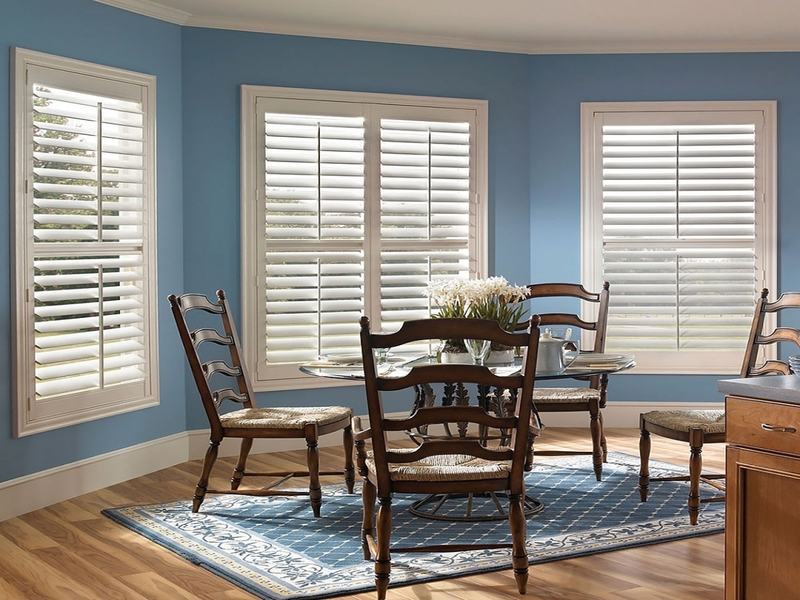 When it comes to selecting window treatments for your Melbourne or Mornington Peninsula kitchen, plantation shutters should always be at the top of the list. They come with a number of valuable benefits. Plantation shutters will add value to your property because they remain when you leave and are stylish, incredibly durable, functional, provide added security and require little maintenance. Stylish Plantation shutters can completely change the look of your home and are more durable than most window furnishing treatments. They are custom built for your home and improve the appearance of your kitchen. They often come with a lifetime warranty and are featured in real estate descriptions as a unique selling point. Plantation shutters are available in different styles and blade sizes. Shutters can be installed to cover entire windows, half windows, bi-fold panels or solid panels that can open like a door. They can be custom made to your requirements. The Eclipse team can assist you with your selection and provide you with advice to ensure that you have the best style for your kitchen. Plantation shutters are one of the easiest window coverings to clean. There are a few different methods to clean them depending on the type of shutter installed. Wood shutters can be easily cleaned by vacuuming the blades and then following it up with a dusting cloth or small brush. Stubborn marks can be wiped away by using a damp cloth (with as little water as possible). Polywood Shutters can be vacuumed and then a damp cloth or wetted brush with a prepared cleaning solution can be used. Exterior Shutters require a hose or a pressure washer hose depending on how stubborn the dirt is. You may require a stepladder to scrub the blades with a brush or cloth. Dish soap & water will likely work but if the stains are stubborn a tested bleach cleaner could remove marks or mold. Apart from adding a designer appeal to the kitchen and other rooms, plantation shutters can improve the security level of your Melbourne or Mornington Peninsula-based home. You can add a locking option to the plantation shutters that will be an additional security measure, keeping intruders and thieves at bay. Eclipse Window Furnishings take great pride in providing an excellent old fashioned customer service and high quality workmanship. We provide excellent window treatment solutions for every budget and requirement. We specialise in the selection and installation of curtains, roller blinds, roman blinds, external awnings and plantation shutters in Mornington Peninsula, Melbourne and nearby regions. To receive your free in-house styling advice, measure and quote, contact our Eclipse team now!